What is it like to work as a hotel manager? Which responsibilities are you expected to take charge of at the very top of the ladder? Before answering these questions, you first need to establish a formal hotel management meaning. Contrary to popular belief, hotel management doesn’t refer to a single position of total control at the top of the chain. Quite the contrary - the organisational structure of the average hotel includes numerous managerial and supervisory figures at a variety of levels. Of course, management structures vary significantly from one organisation to the next. Factors such as the size of the hotel, its star-rating, facilities on offer and so on will affect the way it is staffed and controlled. Hence, you could say that the objectives of hotel management also differ significantly from one leadership role to the next. But let’s say you’re looking to take your career to the highest possible level. You’ve got the top of the career ladder in your sights, so what are the day-to-day duties to expect a hotel manager? And what are the primary objectives of senior hotel management? The field of hotel management shares many similarities with more general retail and commercial management. Senior management personnel overseeing the workforce, ensuring key tasks are completed as required and keeping a close eye on customer satisfaction. It’s also the more senior management personnel who are held accountable for financial management, budgeting and the general profitability of the establishment. From food and beverage provision to the comfort and quality of the rooms themselves to ensuring grievances are handled appropriately, the manager is ultimately responsible for the way the business is run. However, senior management personnel tend to play a less hands-on role than other team members within a hotel. For example, it’s rare to find senior managers checking guests in at the front desk, or serving them drinks at the bar. It happens, but not particularly often. Hotel managers report to senior stakeholders and business owners. If you work as a department manager, you’ll be responsible for overseeing one specific aspect of the business and you’ll answer to senior management. In all instances, it’s primarily a case of deploying staff, delegating duties and overseeing output, as opposed to actually taking care of the physical duties yourself. That is, unless you’re required to step in - at which point the manager needs to be able to cover any important duty at any time. 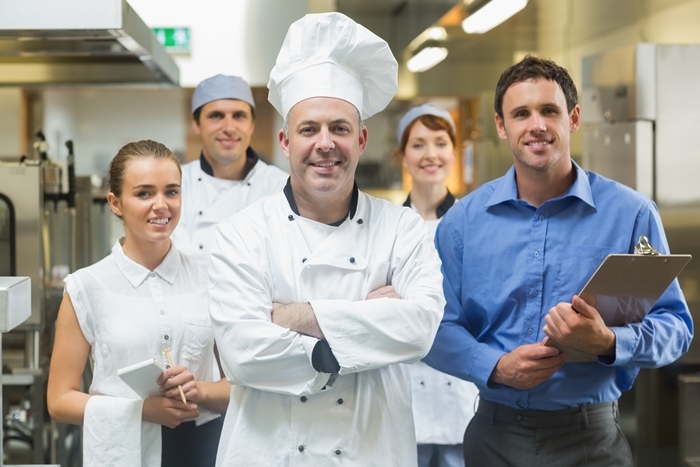 Checking in, servicing rooms, making reservations, waiting tables - managers are expected to step up and stand in when the business needs them. It’s almost impossible to get ahead in any area of hospitality if you’re not enormously flexible. Hotels operate 24/7, meaning supervisory personnel are required around the clock. For senior hotel manager, a typical working day will be the usual 9am to 5pm shift, Monday to Friday. Nevertheless, it’s not unusual for managers to work late nights, early mornings, weekends, bank holidays and so on. In the case of issues with employee absence, you may be called in just about any time at short notice. Likewise, managers working with extensive hotel chains are expected to travel to different locations - nationally and internationally - when and where needed. There’s a fair amount of admin and office work required, but senior managers are usually on their feet and overseeing operations. They’re the most important representatives of the business and the wider brand, so must always be ready to meet and greet important and influential figures with positivity, professionalism and pride. For those operating further down the management chain, it may also be necessary to regular participate in duties such as housekeeping, reservations management and so on. In terms of hotel management course requirements, you don’t need a formal degree to climb to the very top of the ladder. Nevertheless, a relevant educational background is considered mandatory. Experience and enthusiasm are important, but you also need to understand the mechanics of the hospitality industry and the characteristics of the effective hotel manager. Along with the hard skills and knowledge required to perform your duties, you’ll also be expected to bring a series of ‘softer’ skills to the table. Examples of which include flawless communication skills, a strong eye for detail, problem solving skills, a passion for people, a personable attitude and the ability to remain calm under the most intense pressure. Unsurprisingly, those with born leadership qualities also tend to climb the career ladder in hotel management much quicker. Anyone can bark orders and oversee performance, but it takes a different kind of hotel manager to provide truly inspiring leadership. This is where the difference lies between the everyday hotel manager a high-flying career-climber. If you’re interested in getting into hotel management, breaking into the hospitality sector can be surprisingly easy. Boost your CV with an accredited award and you’ll find it much easier to appeal to employers. If you’re already working in hospitality, targeted studies could help take your career to the next level. The hospitality industry is famed for identifying talent and promoting from within, fast-tracking the progression of the most capable and committed candidates. It’s simply a case of taking that first important step, after which even the sky isn’t the limit. Head over to our Hotel and Hospitality Management Course page for more information on our exclusive online study programs.